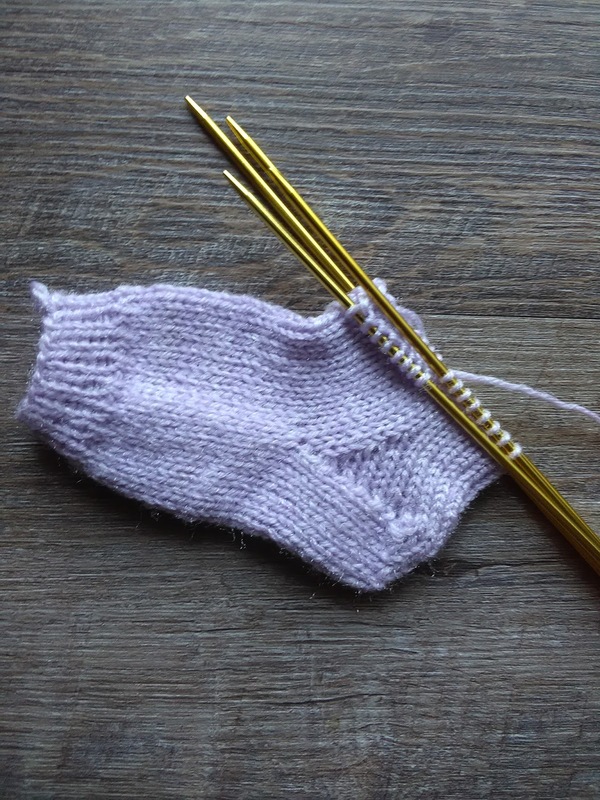 The only problem I've come across in the baby sock knitting department is that there seems to be a lack of patterns for practical, everyday, unisex baby socks. 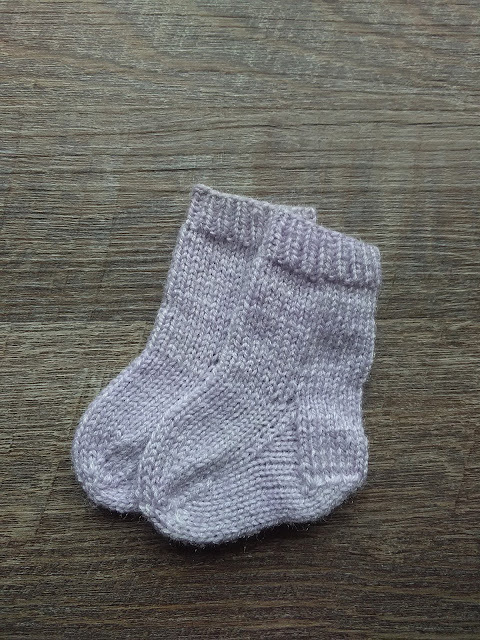 There are loads of patterns for converse shaped, lacy, lady bug footwear for babies but if you're looking for a traditional sock then the pickings can be pretty slim. After spending an hour surfing the web in search of that perfect pattern I'd used a few years back, I realized that I was going to have to come up with my own. Shortly after coming to this realization I decided that the reason no one had ever taken the time to write this '"Perfect" Baby Sock' pattern was because baby socks are so quick and simple to make that taking the time to write it out would be a waste of time. 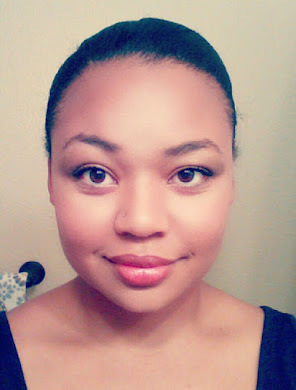 Well hello there my name is Denine and I enjoy wasting time. So here we are. 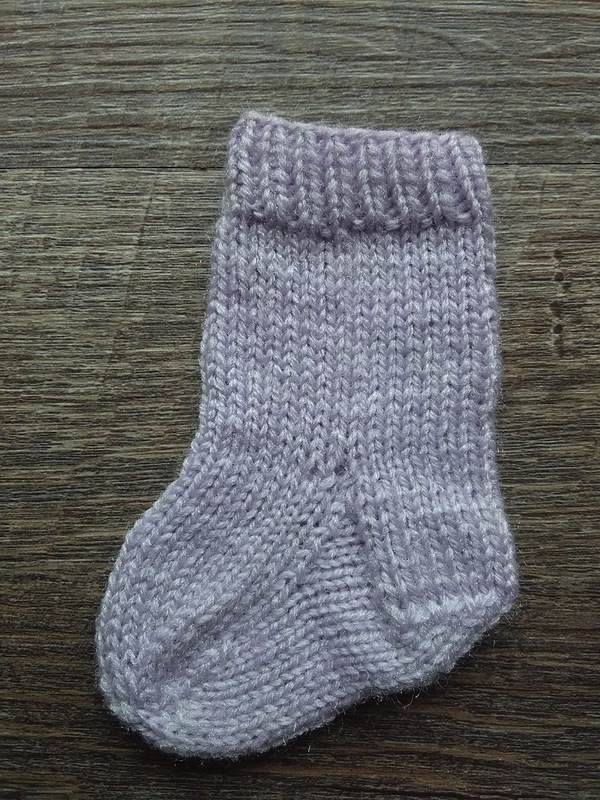 I did, however, figure that sizing up would be so simple that I only wrote a pattern for a newborn sock. 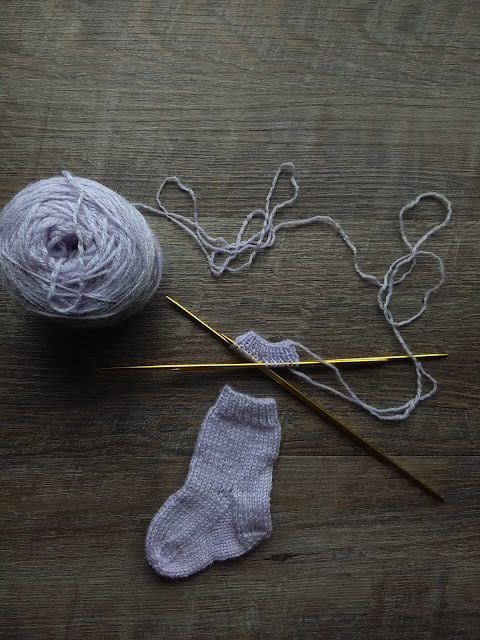 The sock will be knit over 32 stitches and the stitches will be divided over three double pointed needles as following: 8sts on needle, 16sts on needle 2, and 8sts on needle 3, there is a turned heel which will result in picking up slipped stitches. 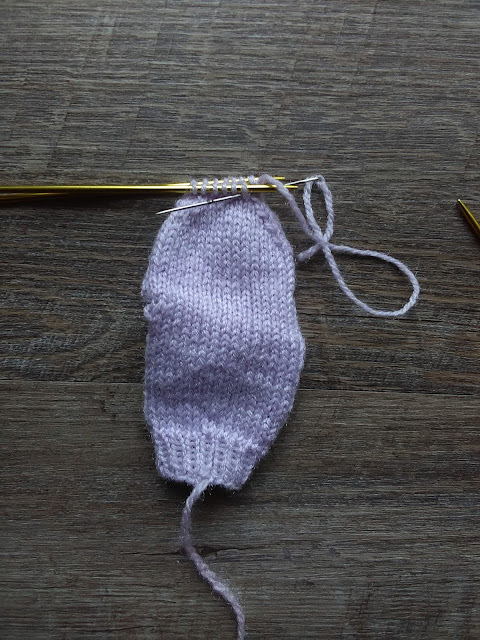 This will increase the number of total stitches from 32 to 40 but after completing the foot shaping you will end up back at 32 stitches. 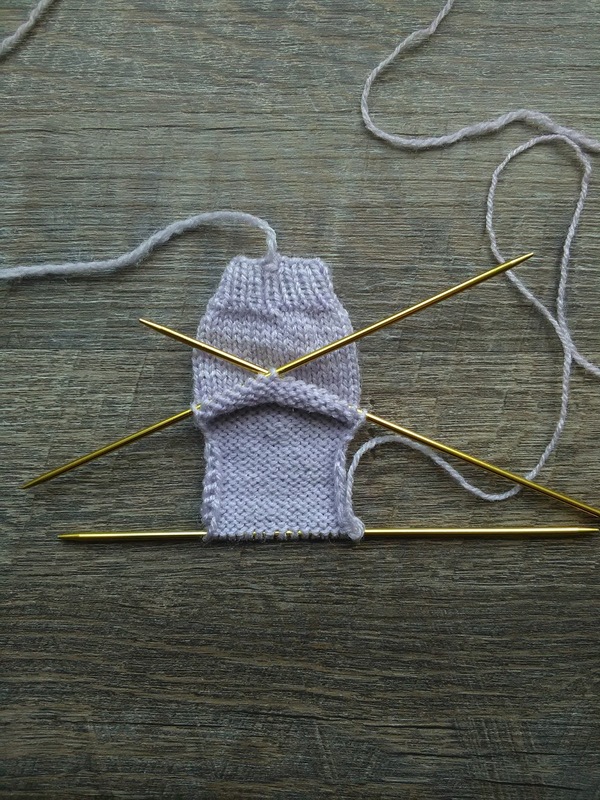 As long as you are aware of the stitch ratios you can easily up or downsize. 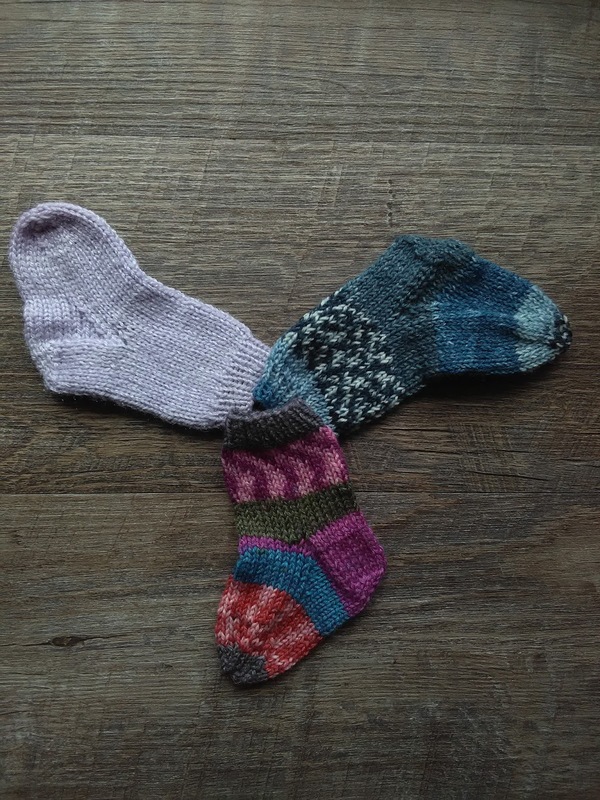 Say you want to make a pair for a baby that no longer fits newborn socks. 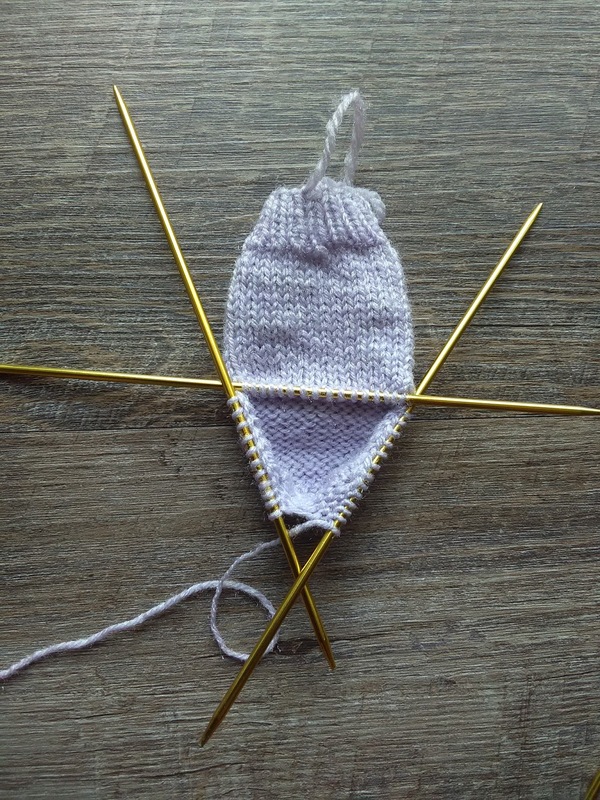 You measure your baby's foot and ankles, or you find a baby growth chart online, and decide to cast on 40sts instead of 32. You'll distribute your stitches as following: 10sts on the 1st needle. 20sts on the 2nd needle , and 10sts on the 3rd needle. 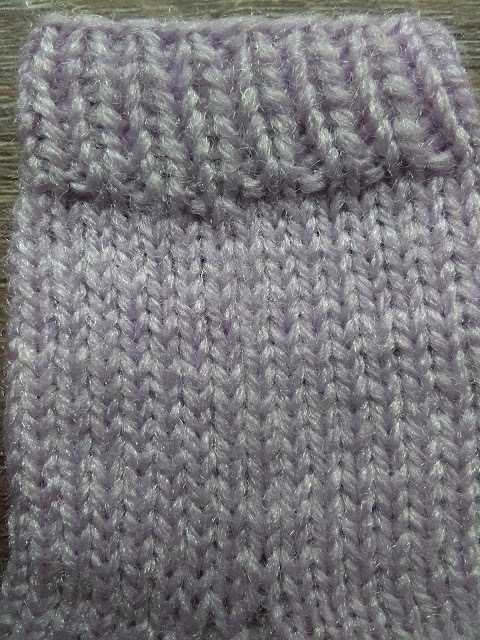 Work in stockinette stitch for 18 rounds (1 1/2 in, 38.1mm). 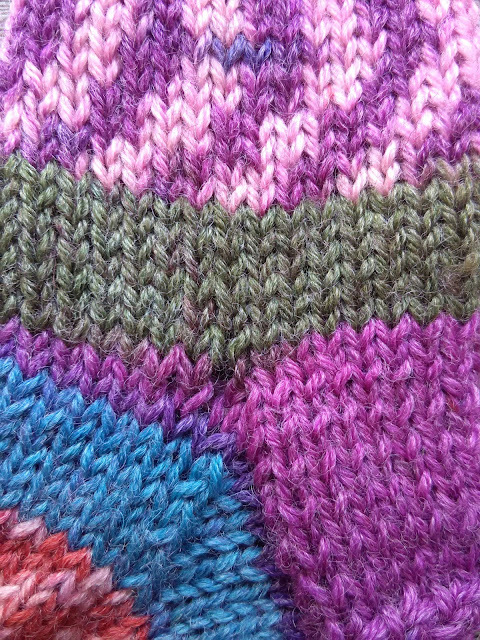 Next Row: Knit across the first and second needles then turn your work. Alternate between the two until you’ve knit 16 rows with 8 stitches slipped on either side, Then knit one more row. 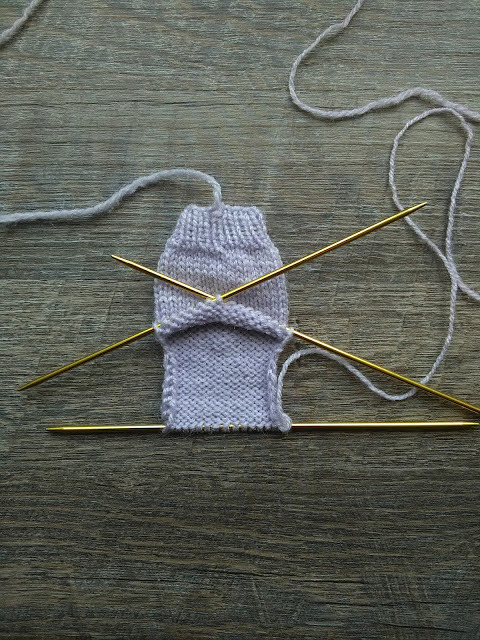 You should end your heel flap on Row 1, which is a wrong side row. Row 1: (RS) Sl 1, Knit 7 sts, SSK, K1, turn work. Row 2: (WS) Sl 1, P1, P2Tog, P1, turn work. 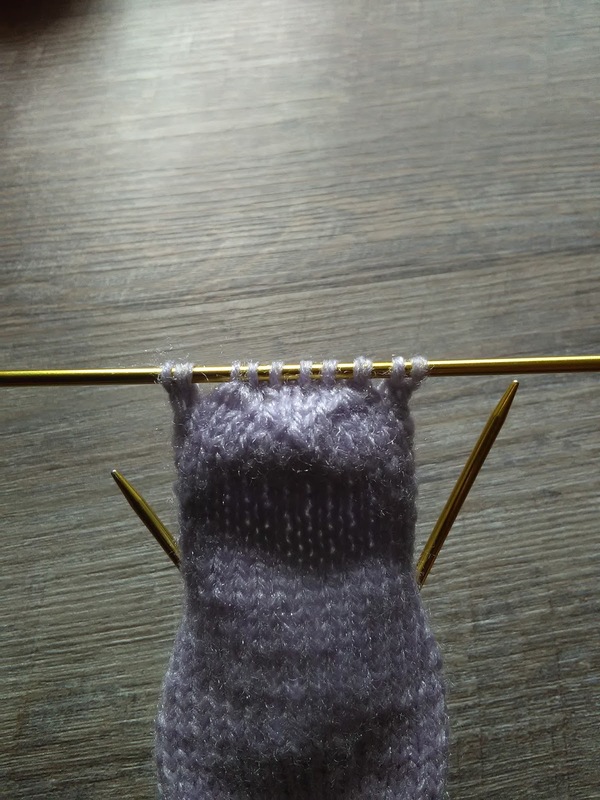 Row 3: (RS) Sl 1, Knit to one st before turn gap, SSK, K1, turn work. Row 4: (WS) Sl 1, Purl until one st before turn gap, P2Tog, P1, turn work. Row 1: knit to the last 3sts on the first needle, K2Tog, K1, Knit across second needle, K1, SSK, the first 3sts of the third needle then knit to the end of round. Alternate between rounds 1 and 2 until there are only 8sts remaining (2sts on the 1st needle, 4sts on the 2nd needle , and 2sts on the 3rd needle). 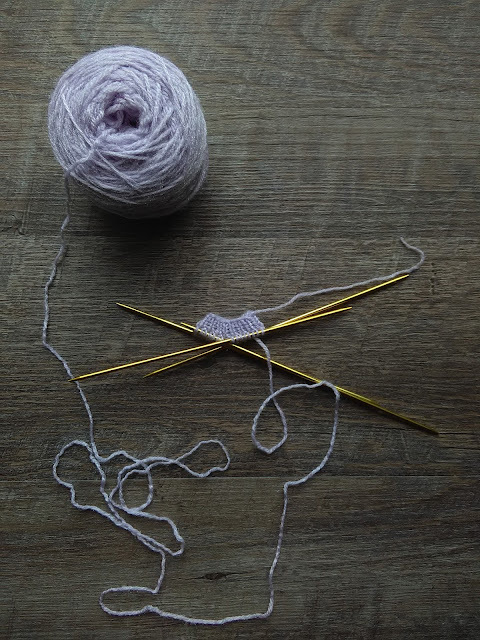 Combine the stitches from needles 1 and 3 onto one needle so that there are only two needles left with 4 stitches each. Cut yarn leaving an 8in yarn tail and use the Kitchener Stitch to close up the toe. Weave in any loose ends. Make 2. Simple right? I finished my first pair in a little over an hour. 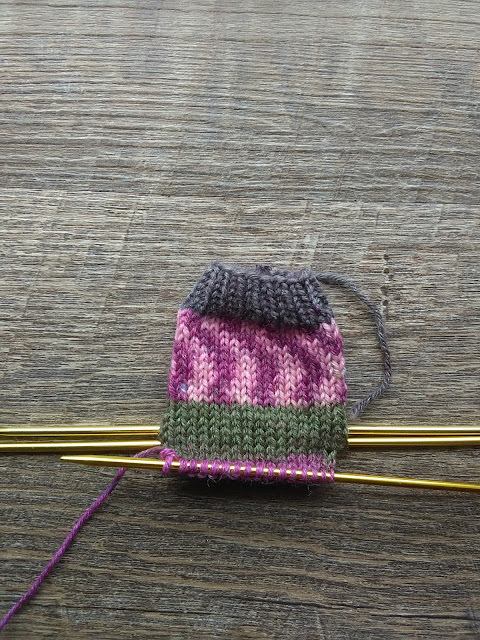 For all I know, or even more likely than not, there are multiple everyday baby sock patterns somewhere hidden in the vast inter-webs that I'm just not seeing simply because the cutesy ones are more popular. Regardless, these socks are the perfect accessory for those precious little newborn feet. If the babies in your family tend to be a little larger as they do in my family then go up a few stitches or two the way I mentioned before, also If you knit a pair or two make sure to post a picture and tag me either on Instagram @by_denine or on Twitter @bydenine. Thank you for this pattern! It is exactly what I have been searching for. Question: r2 on heel flap ends on rs, heel cup r1 starts with rs. ??? This is my first sock. I don’t understand how to pick up the slipped stitches. 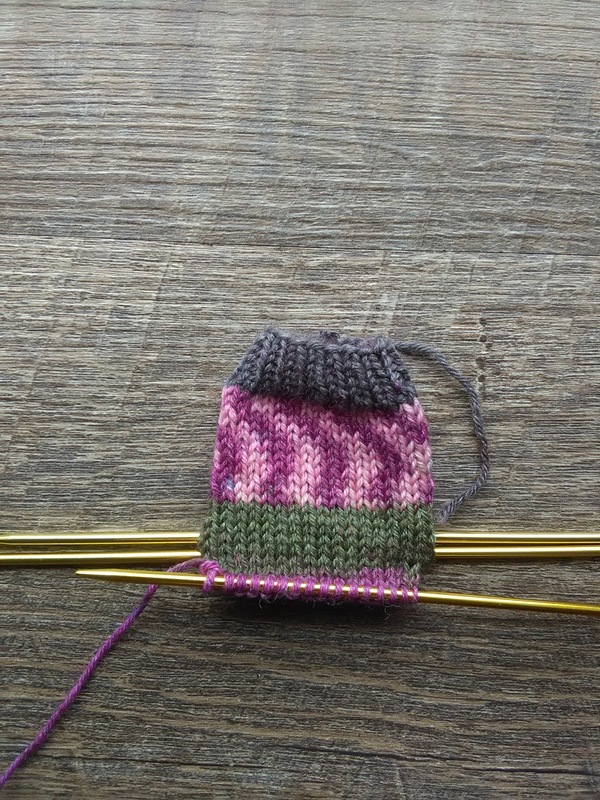 Hello Great sock pattern! Any chance there is a printable format available? Hey, Thanks! I don't have a printable version at the moment but I will work on having one available for you. Hopefully within the next couple of days :). Hey Suz! I've added a link to the pdf for this pattern at the end of the post. Thanks for bringing that to my attention :). Absolutely stunning work on the pattern formation. Thanks!